In our last post, we talked a lot about the relationship between sugar, your teeth, and decay. 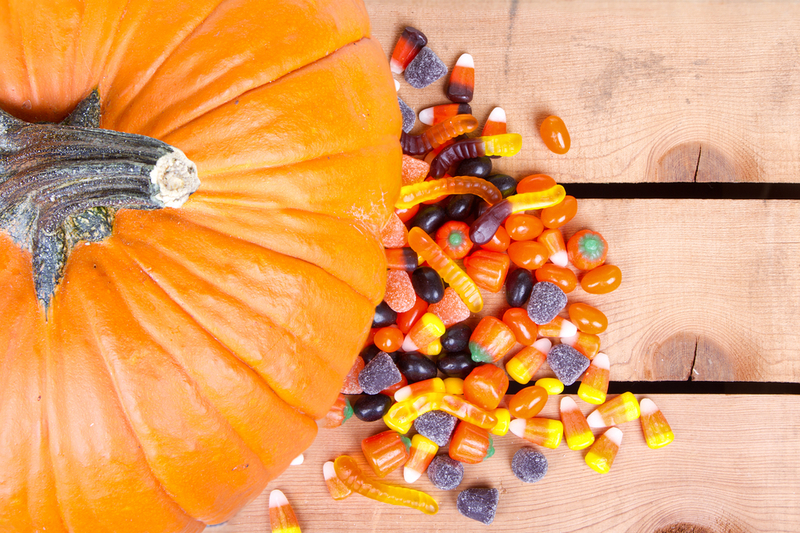 Today we’d like to talk about an alternative to candy sweetened with sugar that can help you enjoy a healthier, but just as happy, Halloween. Cane sugar and corn syrup aren’t the only sweeteners out there you can enjoy. Candy sweetened with xylitol can also help you satisfy your sweet tooth while also benefitting your smile. You heard right—there’s actually a sweetener that is good for your teeth. Xylitol is low in calories and is naturally found in fruits and vegetables. Unlike regular sugar, though, it doesn’t lead to decay. Instead, it promotes a stable, healthy pH level in the mouth, not an overly acidic one. As a result, xylitol candy can actually prevent decay and slow the production of harmful bacteria instead of the opposite. It’s so effective, in fact, that it’s sometimes used in natural toothpastes and mouthwashes. So, while there’s nothing wrong with handing out Kit Kats and Hershey bars this Halloween, why not use this year’s trick-or-treating season to help others have a healthier smile. Visit your nearest Target, Wal-Mart, or health food store to see what kind of xylitol-sweetened candy they offer. You can also find candy sweetened with xylitol online at xlear.com. And from all of usat Dr. Jill Wade’s dental office in Frisco, we hope you and your children enjoy a safe, fun, and (xylitol) treat-filled Halloween!